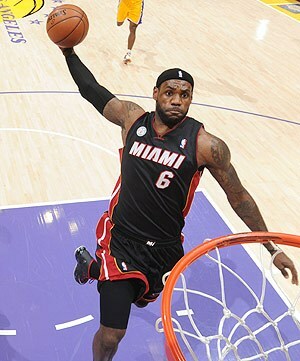 The Miami Heat are in the midst of a 23 game winning streak, the second longest in NBA history. With their game tonight against LeBron James‘ old pals, the Cleveland Cavaliers, the Heat have a chance to make it 24 straight Ws. I’ve only got one thing to say to that: so what? This streak doesn’t matter one bit. Ask the 2008 Houston Rockets. This is kid stuff. Sure, it’s impressive. Sure, it would be cool if the Heat matched or broke the ’71-’72 Lakers streak of 33 straight victories. But James, Dwayne Wade and the rest of the SuperFriends are here for one thing only: Rings. It’s championship or bust for the Heat. They’ve got legacies to consider. Yes, breaking the all time record would add another section to the resume. But nothing speaks louder than championship jewelry. 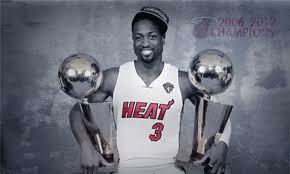 So what would be the point of this streak if the Miami Heat come up empty handed in the playoffs? The NBA doesn’t deal in moral victories. No one will value the winning streak over a championship. If the Heat are as committed to breaking the record as they claim to be, so be it. But they better be the last team standing if that is the case. 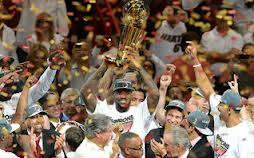 With only one more guaranteed year together, this could be this version of the Heat’s last chance for another trophy. Michael Jordan never lost a series in the Finals. Bill Russell took home 11 championships. If James wants to be mentioned in the same breath as those guys, he can’t afford a third Finals ousting. It’s all well and good that the Heat are playing at such a high level. It’s impressive that they are going after the winning streak with such ferocity. But it’s important that they don’t lose sight of the ultimate goal for this lesser one. This streak will mean absolutely nothing if it doesn’t culminate in a Ring.